Why should you encourage customers to complain? You are here: Home / Resources / Why should you encourage customers to complain? Read in 30 minutes… take action for months. This eBook is packed with the latest research, stats and quotes from customer services thought leaders and innovative customer-focused businesses. While “complaints handling” isn’t new, proactive feedback sourcing and real-time action is, and this eBook will give you the lowdown on how to completely transform your customer churn. 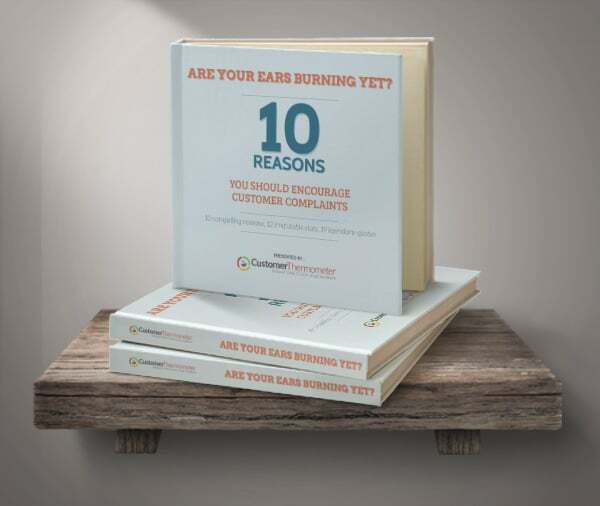 Written by Customer Thermometer’s founder Lindsay Willott, this resource has 10 compelling reasons to source solid customer feedback and specific ways they will make a serious difference in your customer retention and upsell strategy. It’s the exact formula the founders used to grow their other businesses into referral machines.